Combine hazelnuts, breadcrumbs and rosemary in large bowl. Arrange lamb racks meat side up in single layer on heavy large baking sheet. Brush each rack with 1 Tbsp dijonnaise. Season lamb wih salt and pepper. Press 2/3 cup breadcrumb/hazelnut mixture onto each. 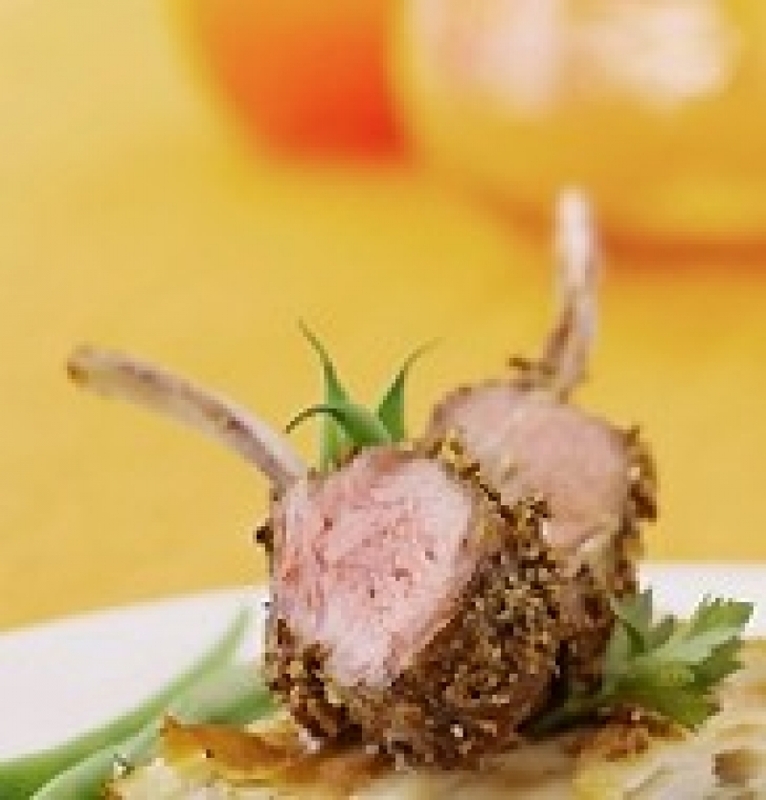 Drizzle each lamb rack with 1 Tbsp honey. Roast until meat thermometer inserted into thickest part registers 130F for medium-rare, about 40 minutes. For medium lamb cook for about 1 hours .